The front and rear hems, mirror pockets and generation-specific patterns are tailored to your Camaro. Its stretchability results in a sleek, form-fitting look that is easy to slip on. Onyx is moisture deterrent, yet breathable. 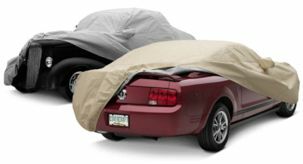 Each Onyx Indoor Car Cover includes a matching storage bag, made from the same material as the cover. 3 Year Warranty Included!